Next to the Baby Boomers, arguably no other group in American history has been the topic of so much conversation than Millennials. A diverse cohort ranging in age from their late teens to their mid-thirties, the group continues to make waves. In fact, Millennials will make up 75% of the workforce in less than a decade, according to the latest Pew Research. The “Millennial Effect” on commercial real estate pretty much begins and ends with the words “Wi-Fi enabled.” Millennials must have 24/7 connectivity and mobile web access via smartphones, tablets, smart watches, and a host of other gadgets that make their work more efficient. In keeping abreast of these changes, commercial property listings are incorporating more visual and interactive elements. The use of video tours, camera drone photography, and even virtual reality will become more prevalent. Apps will increasingly be used to schedule appointments, pay rent, renew leases, and access data about real estate trends. The new standard, when vetting properties, will be to send questions about listings via text. Online transactions will also become more prevalent as crowdfunding allows investors with less capital to invest in CRE projects. The Millennial effect on the commercial real estate industry is also influencing the way business, itself, is done. Millennials are insisting on more information and a faster, more efficient, user-friendly process; thus, innovating the way consumers use technology and ushering all of us into an even more connected age. They are also more likely to conduct transactions through email, social media, or text, to streamline processes and save time. The Millennial generation, by large measure, is seemingly less trusting of others and reliant on the Internet as their primary research source. As such, they will preferentially use that medium to research listings, buyers, and investment opportunities; research is performed through articles, online reviews, and social media posts. For top commercial real estate firms, the choice is clear: adapt or get left behind. It is important to remember that Millennials are not a single conglomerate. There are differences among its ranks, and overgeneralizations can backfire. Nevertheless, the commercial real estate industry would be wise to consider that many Millennials, despite their seeming independence and maturing ways, still have a lot of growing up left to do. And this, too, must be factored into their evolving professional needs. Many are beginning their adult lives with more debt, more time spent in school, and are facing higher costs of living. Millennials also have less buying power than their parents did at the same age. As a result, they are living at home longer, marrying later, and renting for longer periods of time than previous generations. Thus, for older Americans, Millennials might appear to be the most coddled, egocentric generation yet. It’s funny how history repeats itself. As Baby Boomers continue passing the torch to a new generation of Americans, the commercial real estate industry would be wise to keep Millennials in mind. Millennials have a unique experience they can bring to the industry: born in the closing decades of the old millennium, tempered by recession, and emboldened by extraordinary mobile and social technologies. 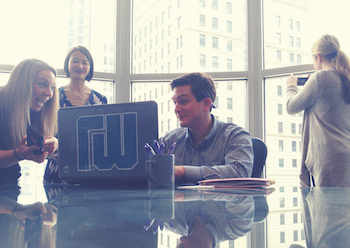 At The Robert Weiler Company, we have embraced Millennials as both employees and clients. If you’re seeking a unique perspective when it comes to buying or selling commercial real estate property, we’re eager to help! Reach out to one of our knowledgeable commercial real estate consultants at 614-221-4286. Baby Boomers, Generation X’ers, and Millennials at The Robert Weiler Company are standing by!